Enjoy breakfast with beats! 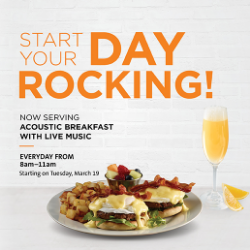 Hard Rock San Francisco will feature delicious breakfast favorites along with live acoustic music for the perfect morning ambiance from 8am to 11am everyday! 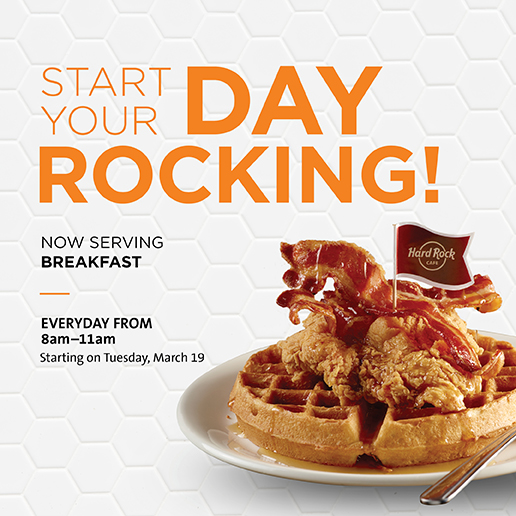 From Fried Chicken and Waffles, to Omelets, to Mimosas, there’s something to satisfy every personality!